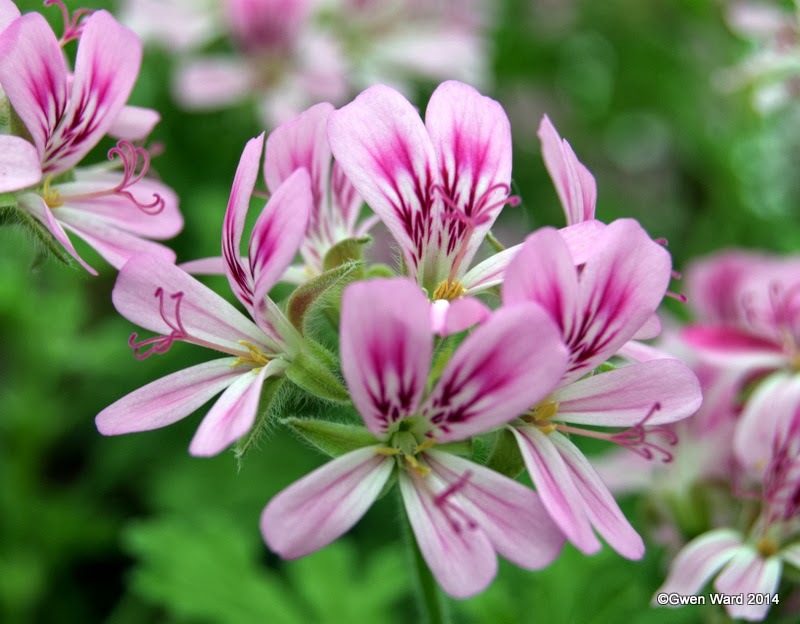 In the dark chilly days of winter the scented pelargoniums come into their own. No flowers I admit then, but pick one up and you are immediately transported to balmy summer days. One of my favourites is Little Gem. This is a dwarf plant with abundant small deep rose-lavender flowers in summer. The leaves are greyish green and incised and said to have the scent of oil of turpentine, but I find it quite pleasant and mild. 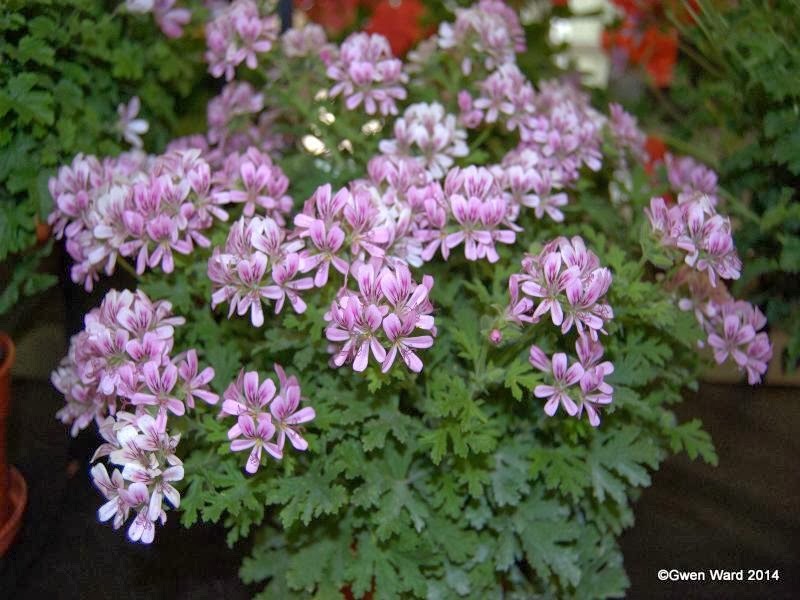 Little Gem is possibly a P.graveolens derivative and was introduced by Cannell's Nursery in the UK in 1910. 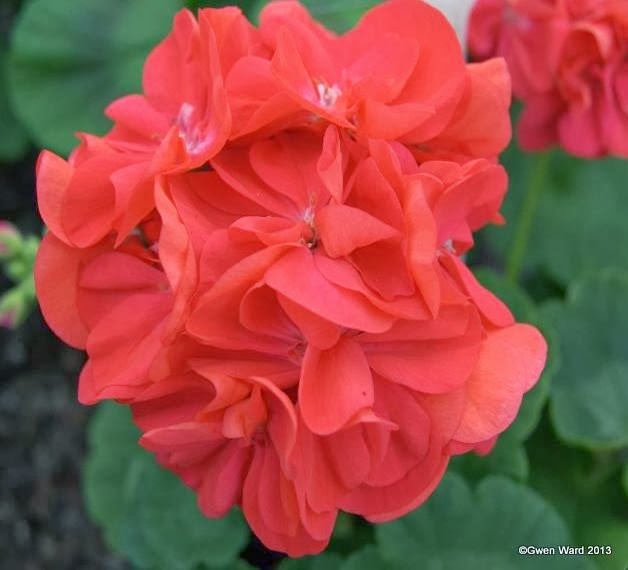 WORDLESS WEDNESDAY - 19/02/14 - Zonartic Pelargonium "Lara Emma"
Introduced in the UK in 2006 by Tony Burgess, "Just Joss" is a dwarf zonal pelargonium with semi-double flowers of light red. The leaves are green with a broad darker zone to the edges. Another of Brian West’s raisings named after a place on the Isle of Wight, where he was from. 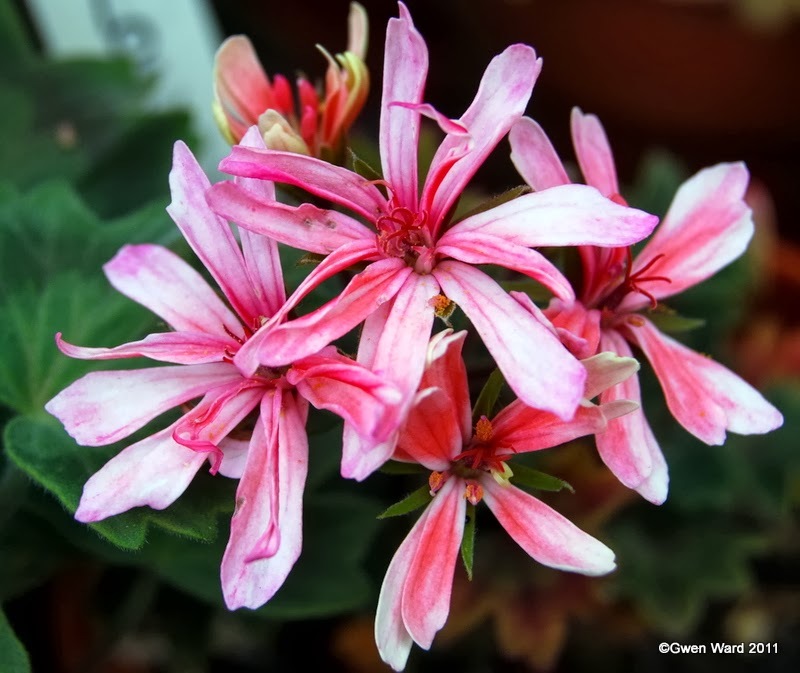 Pelargonium "Cowes" is a miniature stellar pelargonium. 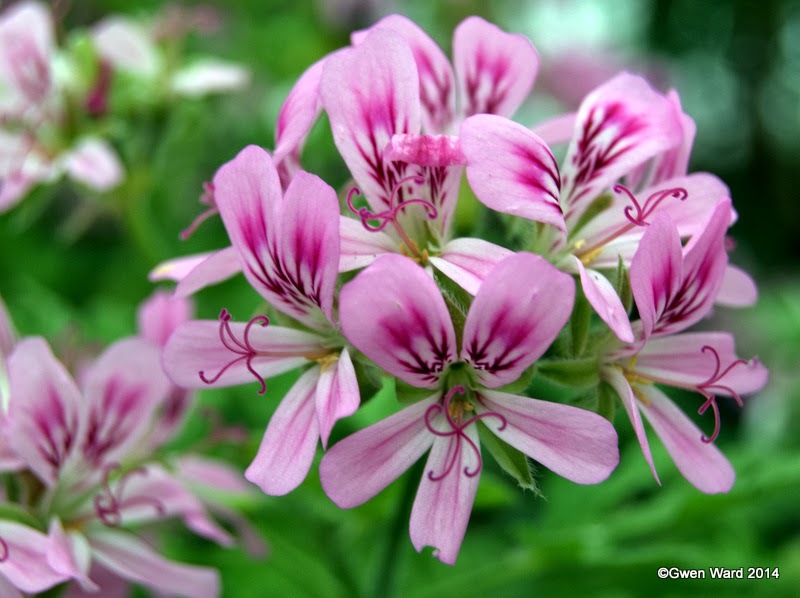 The semi double flowers are palest pink with darker shading which contrast well against the dark green star shaped leaves. 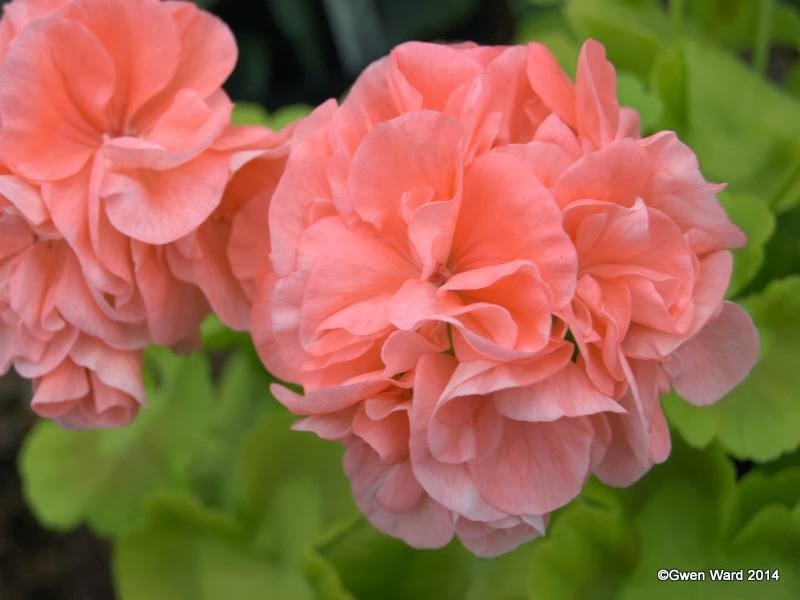 Pelargonium "Cowes" is a cross between ‘Bresh’ and ‘Chelsea Star’. 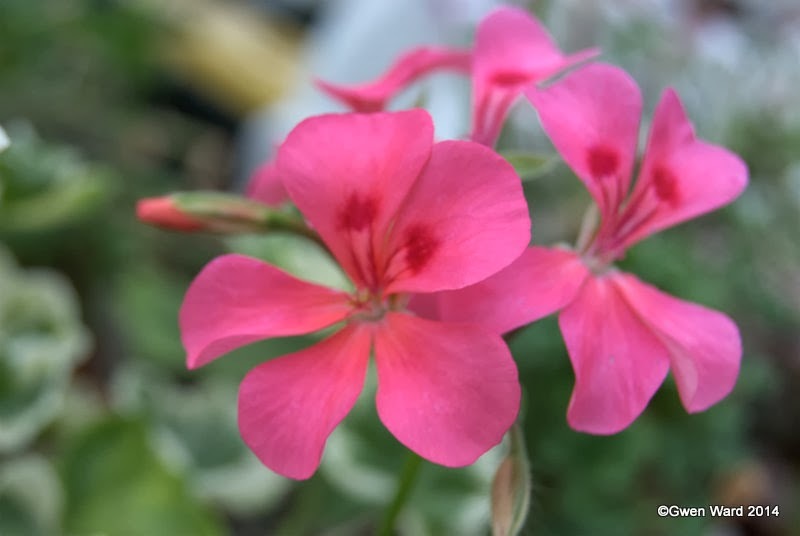 On my visit to Australia last year to visit my family, one of the last highlights was helping at the South Australian Geranium & Pelargonium Society Annual Show. The show is held over a weekend, so Friday afternoon the halls are set up ready for members of the public on Saturday and Sunday. The Society, like many others, is losing members, so this year they show took a different form. Members of the Society were asked to bring along a plant, or plants, in pots or hanging baskets, to display around the hall and in the middle. Single blooms were also displayed. Marj. Edwards, a well known Australian hybridiser, was asked to judge the entries and I was honoured in that she asked me to help her. She had made her selection, so I went around with her and made my own selection. Amazingly we chose the same two plants and it was just a question then of choosing the best one. 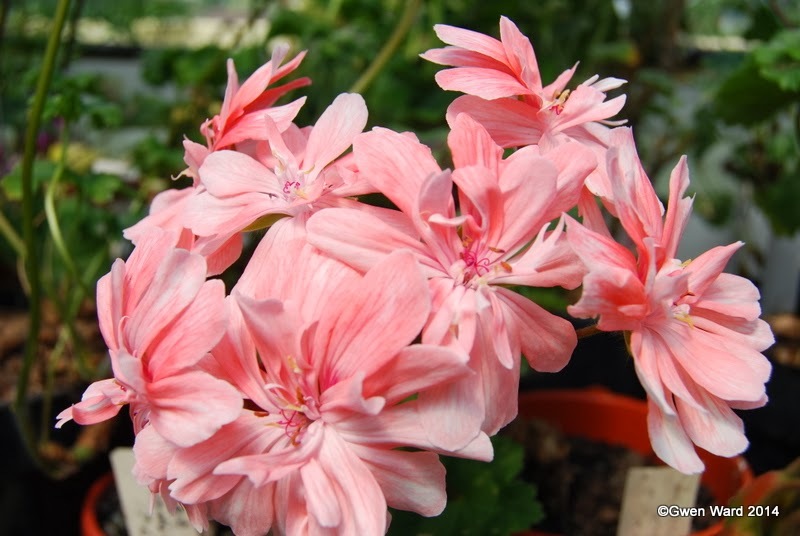 Regal Pelargonium ‘Rembrandt’ won, and sadly I did not take a photo of it, or the grower.